Today I share with you my new makeup removal routine. It has been several months since I changed my habits and I am very satisfied so far. It must be said that cleansing cottons are not very practical. Firstly it takes at least two or three to remove the makeup properly but in addition to that, it is not very ecological. It must be bought constantly and the more we like makeup, the more cotton budget becomes important. 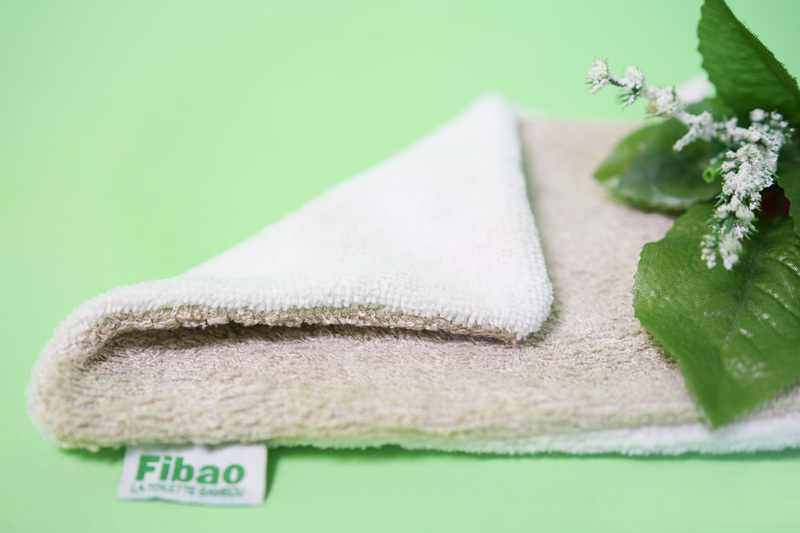 You can wash Fibao gloves up to 300 times! Personally, I do it by hand, with soap, but it can also go into the machine up to 60 ° C. (It also supports the dryer) The brand also estimates that a glove would replace the equivalent of 600 disposable cottons. It’s also important to know that the brand is Vegan (PETA approved) and that it also bears the mention "slow cosmetic *". (* For an ethical, ecological and reasonable beauty) That is to say for example that the company sets up short circuits for the manufacture of its products thus lowering the carbon balance of the finished product. Moreover, gloves can be recycled at the end of their life. But its real quality in my opinion is its cleansing power! Indeed, Fibao gloves have two distinct sides as you can see. A first (colored) bamboo sponge, and the second (white) bamboo microfiber. The first side is the one on which you will apply your usual make-up remover. 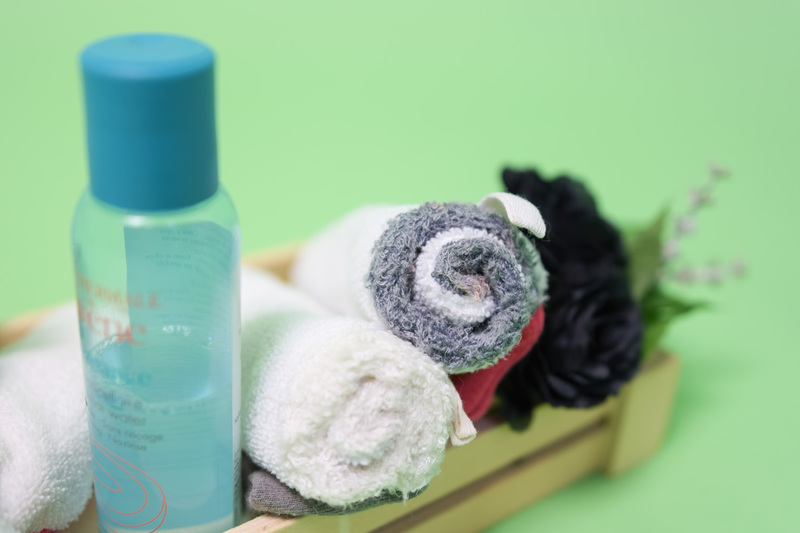 The advantage is that the surface is much larger than a cleansing cotton, so even if you have a smokey eyes and dark lips, you will have plenty of surface to remove your makeup with a single glove. A little advice though: do not go too hard! By gently rubbing the makeup it will remove gradually. There are also special gloves for sensitive skin on the website if you are like me. Then the microfiber side. This is my favorite one! In this second step, simply use water. You’ll see that even if your face seemed completely cleansed, there was still some encrusted material in your skin! It's a deep cleaning. 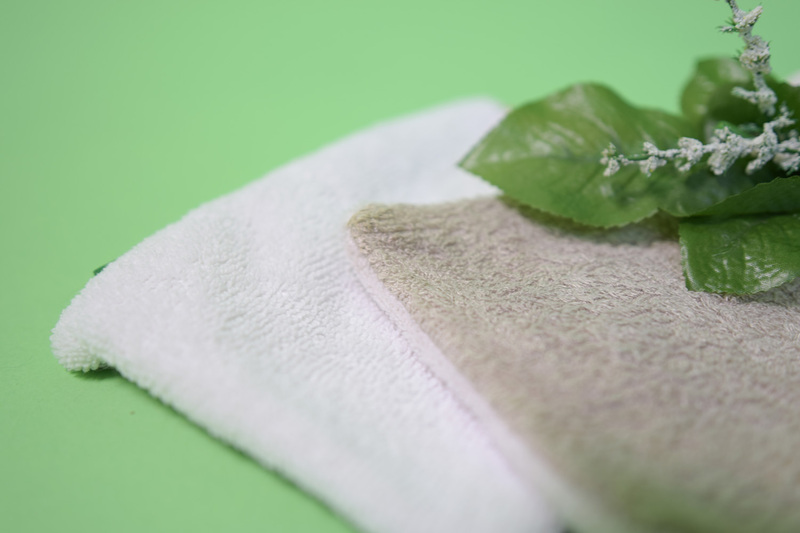 Not only does microfiber help to cleanse the skin, but it is also extremely soft and pleasant. It's like putting a piece of mattress on your face: D (I swear!) It's even confusing because the surface is moistened with water, but it does not wet your face so much. I can tell you that after using this glove my skin is soft and I feel cleaner than after a cleansing cotton. The difference is clear! And I still find it more convenient not to throw anything in the trash after removing my makeup. Then even being not an ecologist in the soul, there is also the practical and economic aspect. The Fibao glove keeps up to 300 washes so we can say at least a full year. (Who wears makeup absolutely every day? XD) And that's a real plus! I also love the natural packaging without fuss. 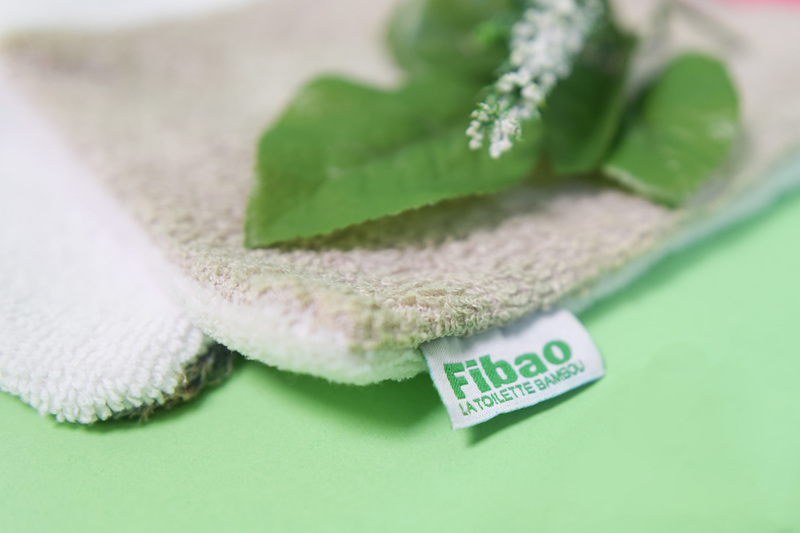 I bought the "eco kit" at 24 € 90 (including 3 gloves and 3 eye makeup remover squares, which I have never really tested xP) which allows me to be ready for 3 years of complete make-up remover, but the brand also sells the famous Fibao gloves individually at the price of 6 € 50. Knowing that you can use it 1 year it’s very reasonable. And for the greediest, there is also the "week kit" including 7 gloves and 1 towel at 44 € 50. In short, you have the choice! So, ready to change your makeup removal routine?